Piaget SA is a Swiss luxury watchmaker and jeweller, founded in 1874 by Georges Piaget in the village of La Côte-aux-Fées, which belongs to the Swiss Richemont group, specialists in the luxury goods industry. The company was founded as a manufacturer of watch movements but began marketing its own line of watches in the 20th century. In 1874, Georges Edouard Piaget set up his first workshop on the family farm, situated in the small village of La Côte-aux-Fées in the Swiss Jura mountains. Situated in the Neuchâtel region, the company was dedicated to crafting pocket watches and high-precision clock movements. In 1911, Timothée Piaget, the son of Georges Piaget, took over the family firm. The company’s policy has been to be dedicated to the production of wristwatches ever since. 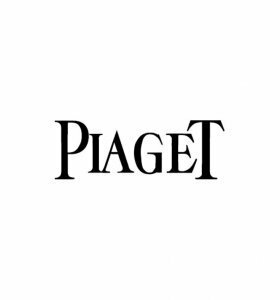 Under the guidance of the founder’s grandsons, Gérald and Valentin Piaget, the Piaget brand became a registered trademark in 1943. Since then, the manufacture at La Côte-aux-Fées has produced its own creations. As a result of this expansion, the family business opened a new factory in 1945, again in La Côte-aux-Fées. In 1957, the manufacture at La Côte-aux-Fées brought out the Calibre 9P, the first ultra-thin (2 mm), hand-wound mechanical movement. Then, in 1960, the Piaget watchmakers developed the Calibre12P, the thinnest automatic movement in the world, with a thickness of 2.3 mm (made official by an entry in the Guinness Book of Records).